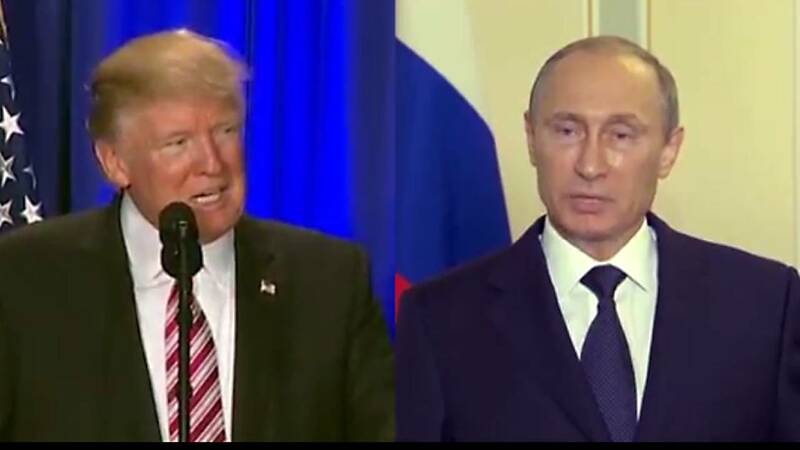 MOSCOW (CNN) - The Russian ambassador to the United States said on Friday that Moscow was "open" to a follow-up summit between Russian President Vladimir Putin and President Donald Trump in Washington, four days after the leaders' private one-on-one meeting in Helsinki. News of the invitation -- which caught many, including Director of National Intelligence Dan Coats, off guard -- was welcomed by German Chancellor Angela Merkel. Asked about it during a news conference in Berlin on Friday, Merkel said she was "pleased whenever there is a meeting" between the US and Russia. "I believe that it has to become normal for a US President and Russian [President] to meet," adding that it is always good "especially when these two countries talk" because they control 90% of the world's nuclear arsenal.